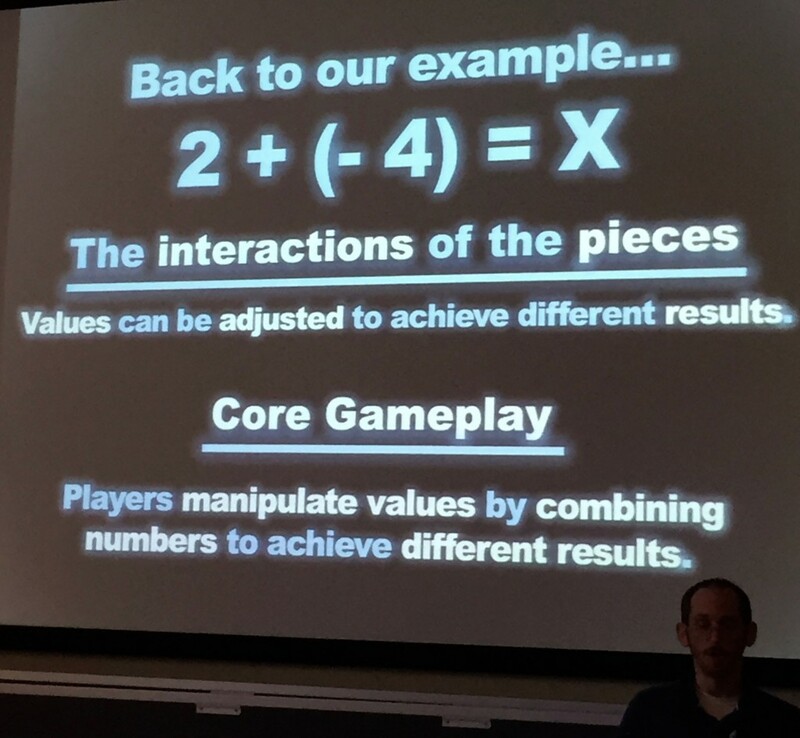 Great games are intentionally designed with a focus on the player’s experiences and outcomes. 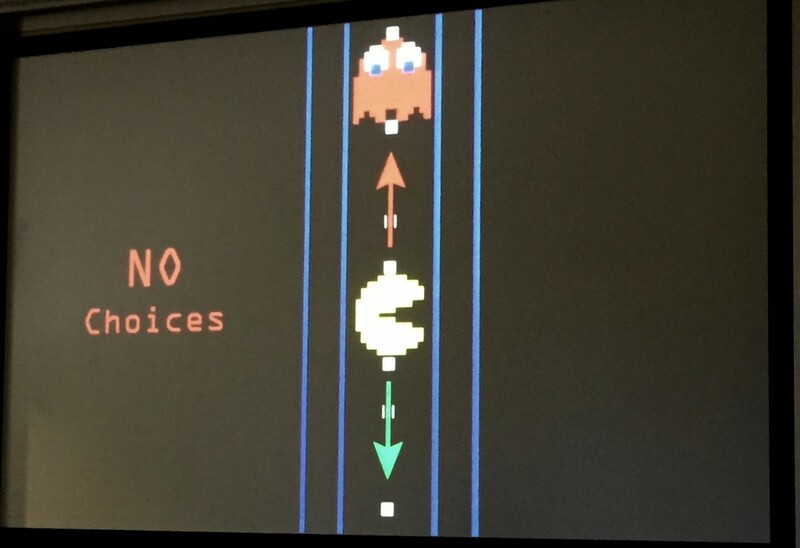 Just like great teaching is not just ‘telling’ – great game design allows gamers to learn through choices – often based on a multitude of different motivational factors. Game designers think carefully about the types of players a game might have, matching different types of interactions and features to different player motivations. Modern educational game design and development, much like designing and developing modern online courses, also requires a team. A single teacher can’t really be expected to do all of this alone. They need teams with development, programming, art and design expertise (among others). For games designed for larger audiences, some even suggest that you need more than one teacher — that we can ultimately develop stronger, more successful games by tapping the expertise and knowledge of teachers from many different places, backgrounds and opinions. 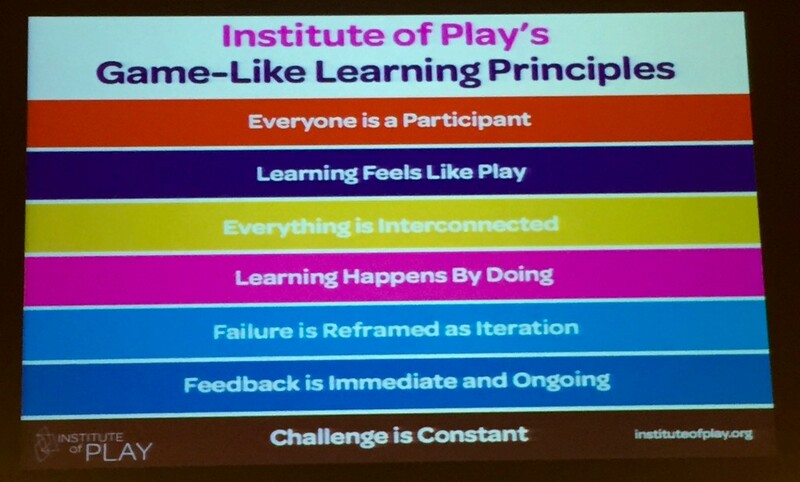 Daniel O’Keefe from the Institute of Play drove both of these points home by leading us through a series of quick, team game-building and critiquing activities that forced us to quickly learn about and experience several gaming principles (see photo) for ourselves. 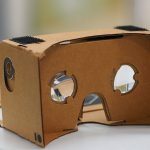 Many presenters questioned the development of so many games that simply ask for a return of basic facts and knowledge when everyone can easily ‘Google’ anything. The real value of a game is providing a way to learn something via an interaction with choices. In their presentation on The Edugaming Framework, Steven Weitz and Mary Rasley demonstrated a way to rethink teaching a simple mathematics principle as a game (vs. assigning another quiz). Even without developing an actual game itself, the act of rethinking the original quiz question from a gaming perspective provided a new way to highlight the concept of the formula vs. just understanding how to work it. In his book Man, Play and Games, Roger Caillois wrote “there is also no doubt that play must be defined as a free and voluntary activity, a source of joy and amusement. A game which one would be forced to play would at once cease being play.” Again, the essence of a good game might boil down to choices – including the choice to play the game in the first place. 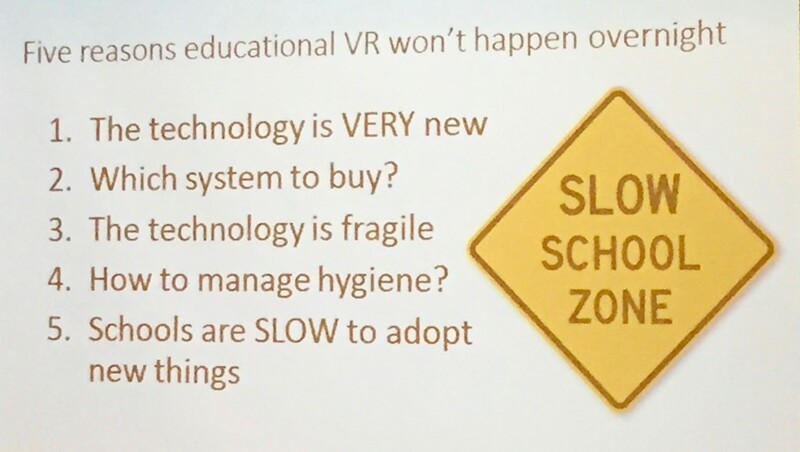 Jesse Schell (Schell Games) reminded us that we’re only in the early stages of a long virtual reality (VR) revolution. 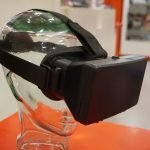 Cheap wearables like Google Cardboard make it easier for everyone to at least try a simple virtual reality experience, but new, more immersive tools (untethered to computers or purpose-built rooms) have yet to become more fully available. 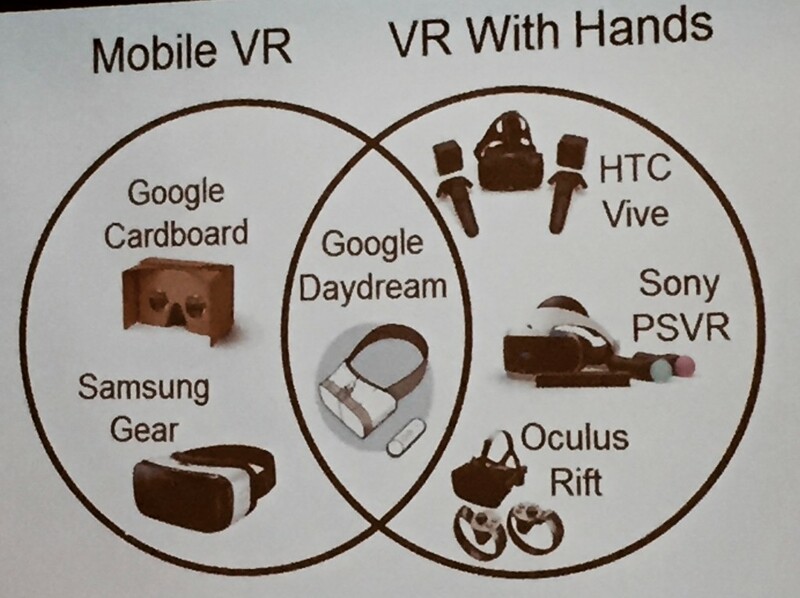 The upcoming generation of VR tools will focus on the addition of hand interaction (see photo below). 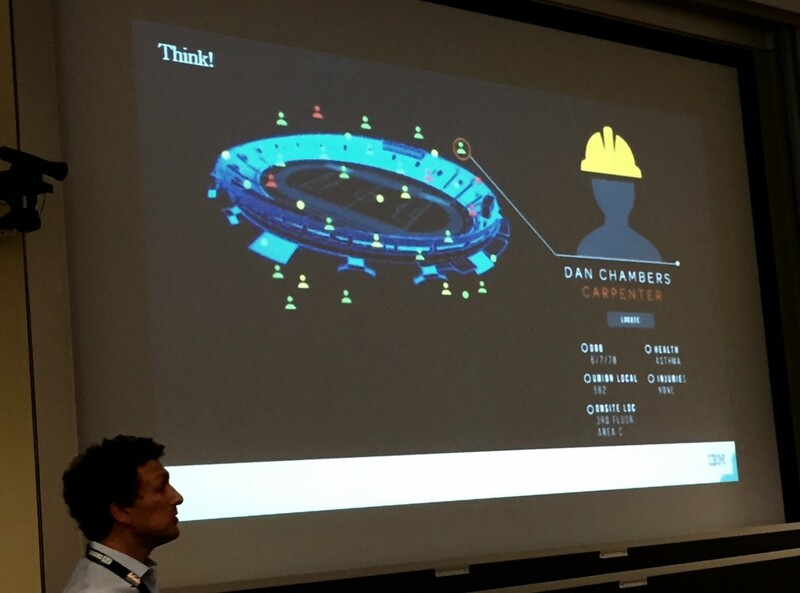 IBM’s Porter Stowell led a session called ‘Visualizing Data: IoT Games.’ IoT is short for the “Internet of Things” – the rapidly growing industry of sensor-equipped hardware, furniture and gadgets (think your wifi-enabled thermostat or smart watch). 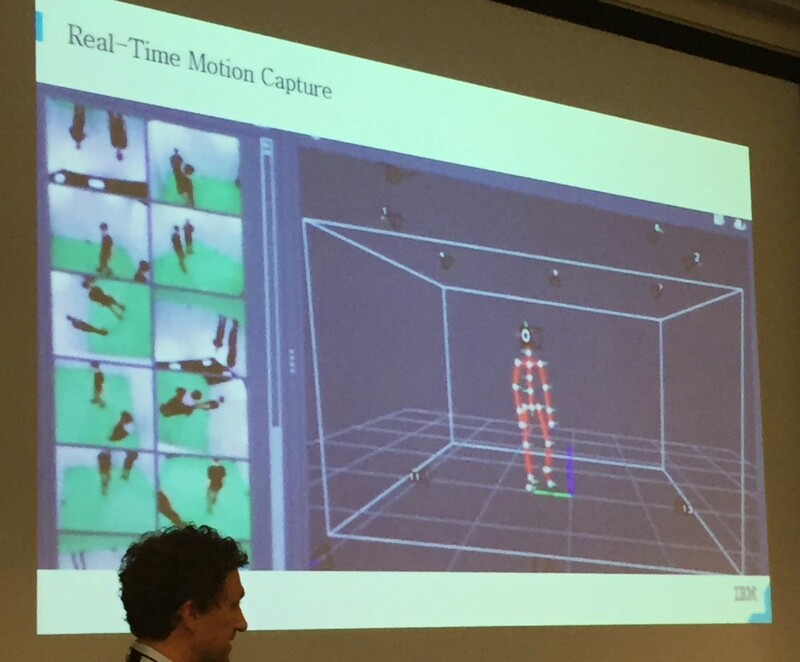 Porter described new ways organizations use gaming technologies like motion-capture and animation to enable data analysis, and ultimately, decision making. Here Stowell describes setting up motion capture sensors on a construction worker (to record his movements and help identify things like repetitive stress injuries). Next, they take this data and couple it with an overview of a work-site – tracking each worker, their stats and potential for injury, etc. In another example, Stowell described using sensors to record multiple aspects of a regatta race. 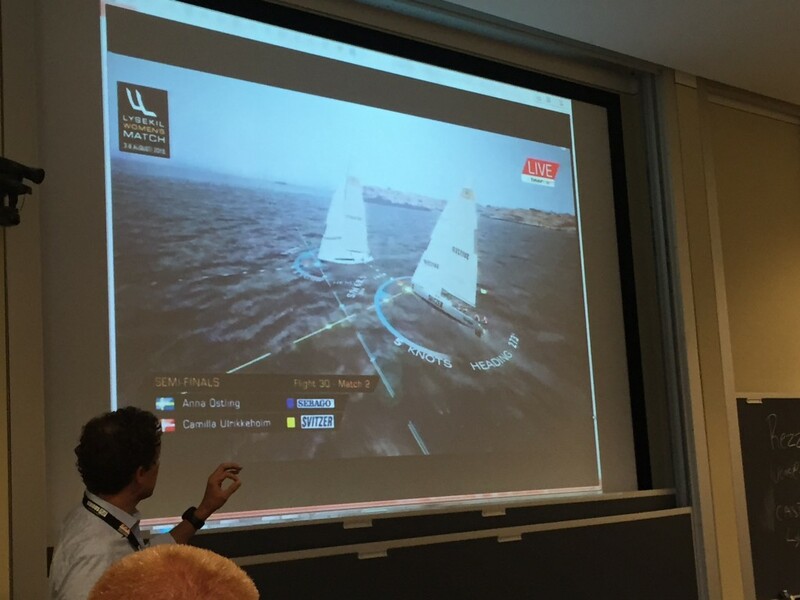 After the race, IBM teams took all the real-world data and fed it back into a game-like visualization of the race that allowed the captains and crew to analyze their performance and even play out different decisions and scenarios. 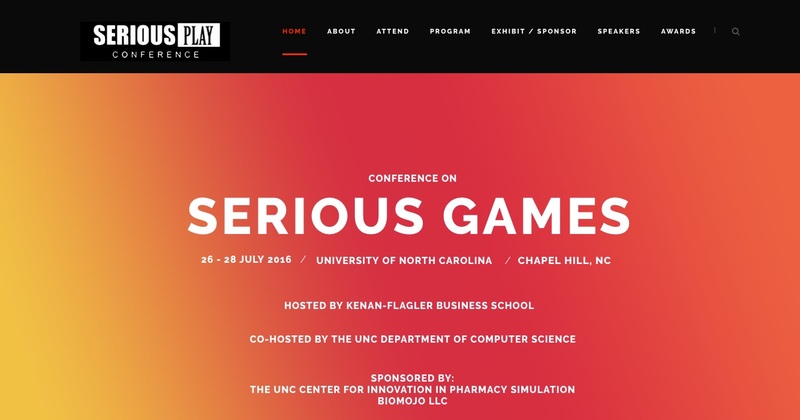 Opportunities to explore: Duke faculty interested in exploring serious/educational games can request funding through the Duke Digital Initiative. James Paul Gee‘s What Video Games Have to Teach Us About Learning and Literacy – considered one of the seminal works in the field of serious/educational gaming.